I can leave my mobile phone to contact. It has a parking space with direct access to the apartment. Bus stop 50 meters with directions to Port Aventura, Salou, Tarragona, Reus, La Pineda, Barcelona, ​​etc. 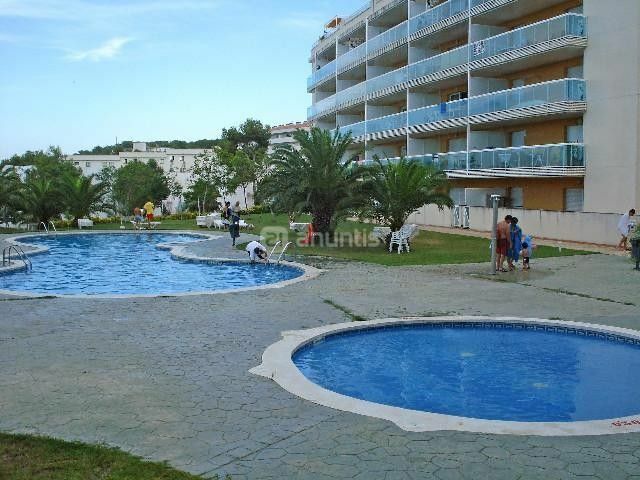 Very nice apartment with spectacular sea views, quiet area ideal for families, with two bedrooms, living room, two bathrooms, separate kitchen, sleeps up to 6 people. and 4 km from Port Aventura, 2 km from the Water Park, 7 km from Tarragona, and 9 km from Reus. Personalised welcome letter, staff very friendly & helpful. Plenty of household equipment - pots pans etc. and also a selection of dvds & books (to which we've added). Description of property is accurate. Car park under property is safe & secure. Pool well used but never over-full, perhaps because there seems to be a lots of owner occupied appartments in the building. Location is great, close to all amenities & on bus route to everywhere. The only fault we could find was the air con could have been more efficient & bring your own potato masher!!!!!! Overall had a fabulous week and would highly recommend this apartment to families as small groups alike. Nous avons passé un bon séjour , l'immeuble est relativement calme et bien placé. Appartement bien conçu et propre mais il manque des rangements dans une chambre,dans les salles de bain, rien pour poser les affaires de toilettes ! -cafetière trop petite, poêle usée .Il manque certains ustensiles comme :une essoreuse à salade , ciseaux,planche à découper ,bassine et un seau avec serpillère neuve . Great oceanfront terrace with spectacular sea views. At 300 meters from the golf course. and about 300 meters from the small beaches, coves, in Salou. There is a garden with 2 swimming pools, one for adults and one for young children. There is a supermarket 100 meters, but only open in summer season. It is also within 1 km of Aqualeon waterpark in La Pineda. se cobrará un 30% al hacer la reserva, y 250,-€ de fianza al entrar al apartamento.Y se devolverá el día de la marcha del apartamento .